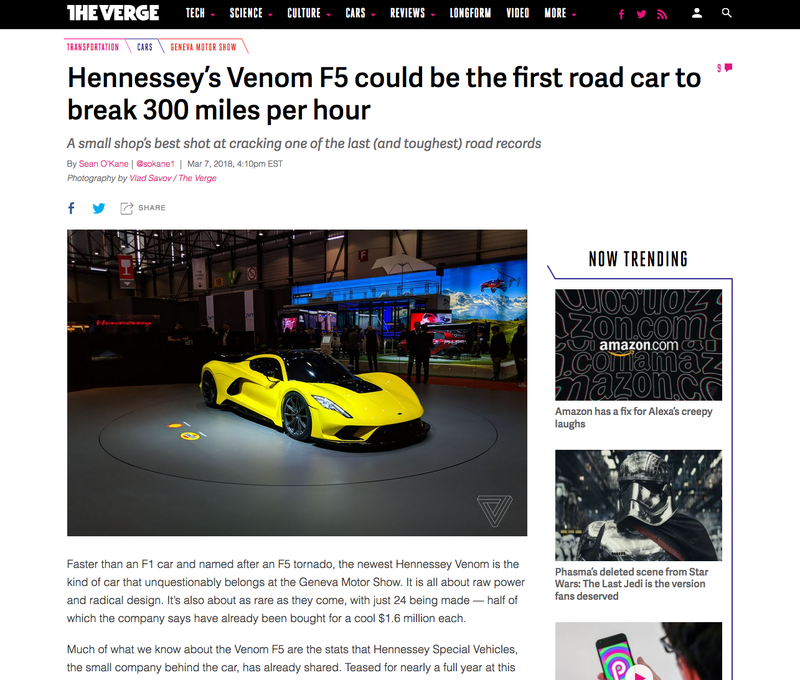 Faster than an F1 car and named after an F5 tornado, the newest Hennessey Venom is the kind of car that unquestionably belongs at the Geneva Motor Show. It is all about raw power and radical design. It’s also about as rare as they come, with just 24 being made — half of which the company says have already been bought for a cool $1.6 million each. Continue reading The Verge’s article on their website.